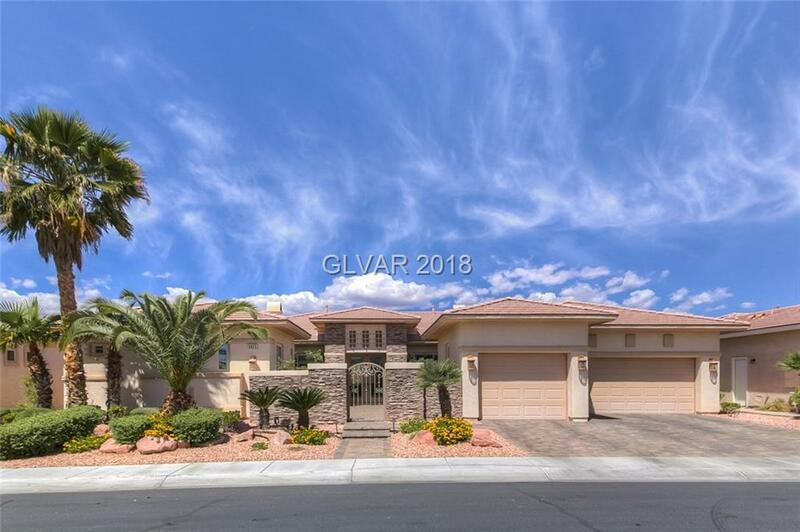 1/4 ACRE GOLF COURSE LOT WITH MOUNTAIN VIEWS.NEWLY RENOVATED HOME W/BRAND NEW GOURMET KITCHEN W/ CUSTOM CABINETS,QUARTZ COUNTERS,PENDANT LIGHTS,NEW KITCHEN AID APPLIANCES W/BUILT IN WINE FRIDGE,FARM SINK. NEW GREAT ROOM WITH CUSTOM WALL UNIT & STONE FIREPLACE. 24" X 24 " TRAV TILE, HDWD FLOORING,INTERCOM SYSTEM,CENTRAL VAC, OWNER'S SUITE WITH MARBLE FIREPLACE,NEW CABINET DOORS IN BATH. POOL SIZE LOT. Directions: From Tropicana And Hualapai Go West On Tropicana Make The First Left Into Siena Guard Gate.